Which kind of carbon are you? Carbon is present in all living organisms and can be found in nature in various forms. 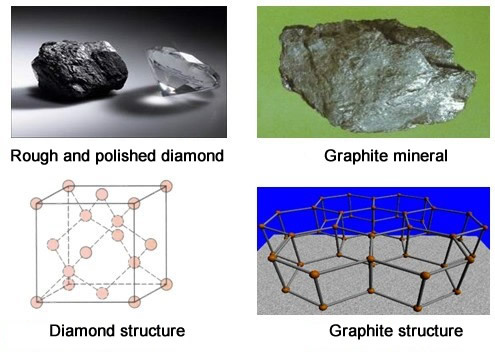 Under normal pressure, the carbon takes the form of graphite, where each atom is attached to three other carbon atoms in planes formed by hexagonal cells. Under high pressure, the carbon takes the form of diamond, in which each atom is attached to 4 other carbon atoms in a cubic structure. Carbon can also take the allotropic form of fullerenes, forming icosahedra. 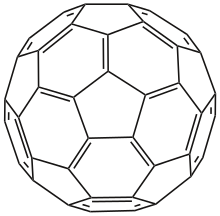 In C60, e.g., there are 60 carbon atoms forming a geodesic dome, composed of 20 hexagons and 12 pentagons, resembling a soccer ball with a diameter of 1 nm (nanometer, 10-9 or one billionth of a meter). 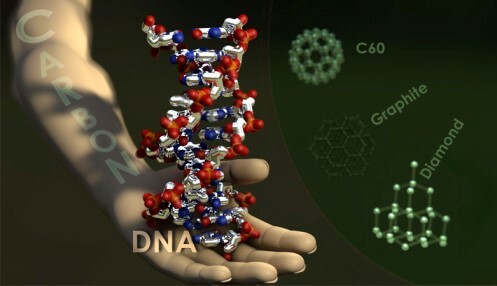 Furthermore, there are a multitude of carbon compounds from sugars to DNA proteins. That is due to 4 electrons in carbon outer shell, each capable of pairing with an electron from another atom. For its colligation feature are about 10 million known carbon compounds. exploring one's ability to coalition with others, can build networks of mutual aid, more effective as greater the diversity and complementarity of its members. Which type of carbon do you want to be?